In Texas, you need state permission to buy chemistry equipment. Intended to clamp down on methamphetamines, this law restricts the sale of basic lab equipment like flasks, along with chemicals so common they occur naturally in fruit. In California, dispensaries pay for raids on dispensaries. Last year, Vallejo voters passed a law taxing medical marijuana, without legalizing it. The taxes have been used to raid the facilities paying them. 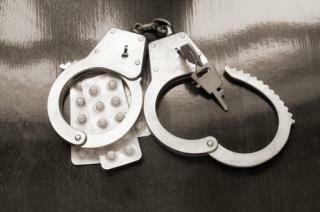 In Florida, a handful of pills can land you three years in jail. Mandatory minimum sentencing laws in Florida are the nation's "most egregious." Four grams of opioid painkillers—just a couple pills—can get you three years in jail. And because the law counts both the active ingredient and any mixture containing it, a 12-ounce soda with 1 gram of cocaine in it counts as 12 ounces of cocaine. The DEA has cost the United States trillions of dollars and has shown no progress. Legalizing marijuana makes economic sense. Marijuana has been shown time and time again to be less harmful than either tobacco or alcohol. The historic reason that hemp/marijuana was banned had more to do with politics and racism than public safety. De-criminalize drugs and treat addiction like a sickness - that will greatly reduced the incarceration and crime rates.